When you seek a guardianship for a person with special needs, you must follow many of the same formalities as in a court case. Obtaining a guardianship is a serious matter because it strips the person with special needs of the ordinary rights all other adults have. The judge will declare that the person with special needs is legally incompetent to handle their affairs. To protect the person with special needs, the process includes several safeguards. If you are seeking to become the guardian, you must file a lawsuit in court. You will need to submit a report by a doctor who has examined the person with special needs within 90 days of filing the lawsuit. The doctor must be an Illinois-licensed M.D., not a psychologist. Also, both you and your spouse, or you and your sibling, can request to be co-guardians in the lawsuit. After you file the lawsuit, a sheriff summons must be issued, and the individual with special needs must be physically served with the summons. This means that he or she is given a paper copy of the summons in person. 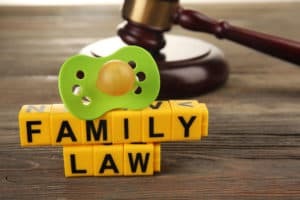 If the person with special needs objects to having a guardian appointed, the judge will appoint a Guardian Ad Litem to represent his or her interests during the guardianship process. The Guardian Ad Litem determines whether the person with special needs requires a guardian and whether those seeking to become guardian are best-suited for that role. You will pay the cost of the Guardian Ad Litem if you are seeking the guardianship. If a person with special needs has money in their name, a guardianship of the estate, in addition to the guardianship of the person, must be opened. The court will supervise the management and disbursement of all the individual’s funds. Special Needs Trusts, however, are not considered assets of the person, the Trust beneficiary. After the court grants a request for guardianship, the guardian or guardians must submit annual reports online every year (in most counties). This requires filling out a simple two-page form and uploading it to a county website. In addition, guardians must do training online in every county but Cook County. This training is required even if the guardians are the person with special needs’ parents. The only time that guardians often must go back to court is for residential placement. If a guardian determines that it is time for the person with special needs to be placed in a residential setting such as a CILA, they must go back into court to get this approved.